Dancing is usually looked upon as an almost female-exclusive form of artistic expression; especially within the Middle East. Men aren’t encouraged to participate in an activity that’s deemed by most of society as ‘too feminine’. It is, however, and contrary to popular belief, a very inclusive and diverse art that isn’t necessarily gender-dependent, and that’s what Fadi Sawires has set out to demonstrate recently. 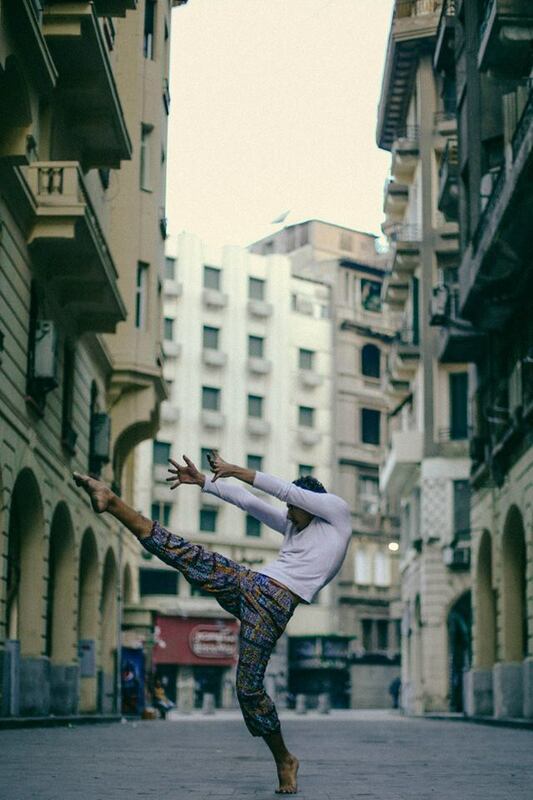 The 25 year-old dancer has recently collaborated with the Ballerinas of Cairo group and its founder and photographer Ahmed Fathi to work on the unconventional idea of a contemporary dancing photoshoot in Cairo’s historic downtown area. 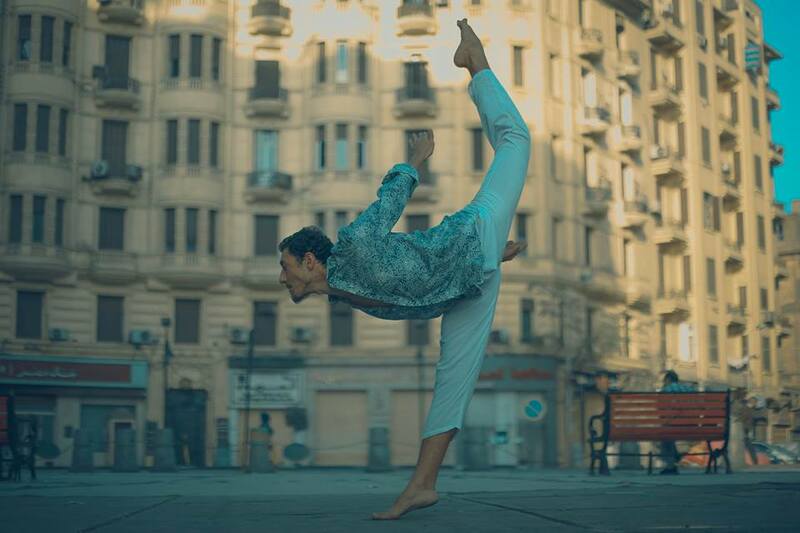 The project has gained a fair amount of attention, mainly due to its daring confrontation of the idea of male dancers and how they are usually perceived. “I don’t think dancing or art as a whole is necessarily depending on gender. There can be male dancers who would also look masculine for instance,” Sawires told Egypt Independent. “Art doesn’t know gender, it’s for everyone,” he added. Despite the idea coming around in a spontaneous and unplanned fashion according to Sawires, it is reflective of his own vision regarding this form of art and what it represents to him. “Everyone needs a form of expression to release their negative energy and I believe dancing is one of those ways,” he stated. He is also very keen on the idea of personal freedom, and by participating in this photoshoot he believes that it sends a positive message for people to do whatever they want as long as it’s harmless. While shooting at in the downtown at the early hours of the morning, the response from people on the streets has been interesting to say the least, with some people watching on admiringly, and others considering it a sign of an aimless new generation. 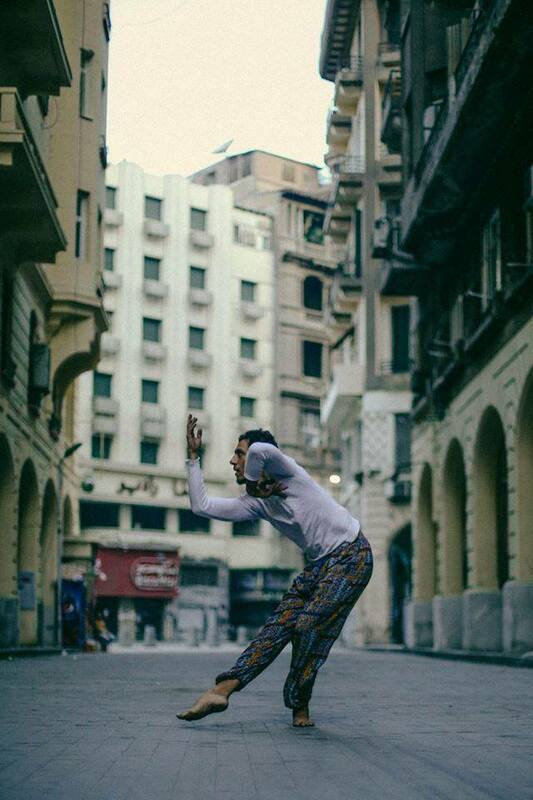 “Viewers in the street saw it [as] strange and odd to see a guy dancing in the street, and it reminded me of the very first shoot of Ballerinas of Cairo,” Fathi told Egypt Independent. 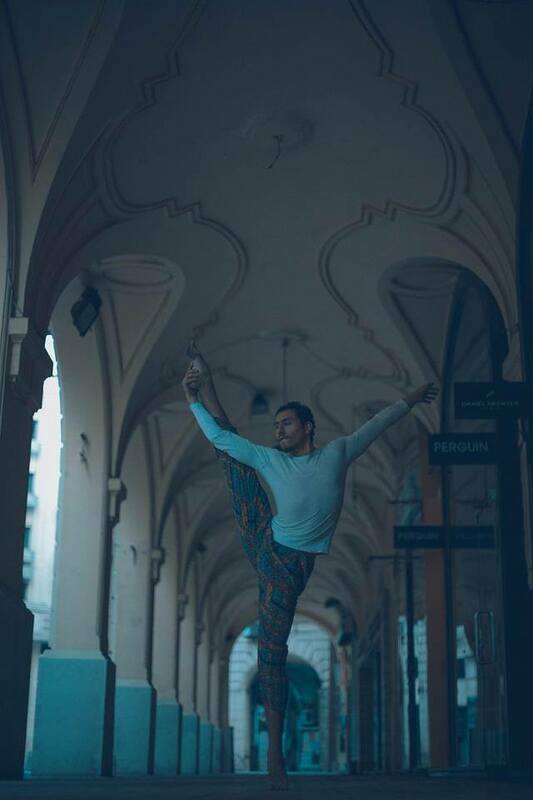 To him, this photoshoot was another step in breaking the norms after a breakthrough with his Ballerinas of Cairo project that focused on ballerina art being performed on the streets. Sawires’s journey to dancing has been a rather interesting one. 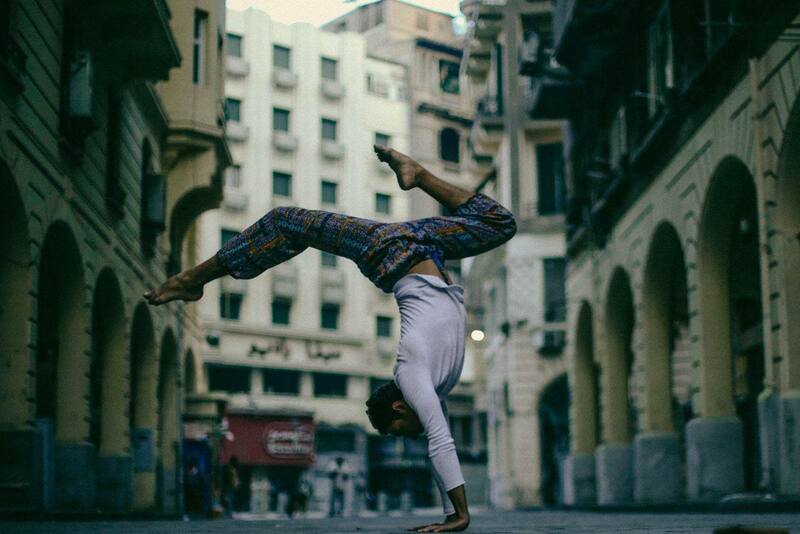 Upon earning a bachelor’s degree in Architecture from the British University in Egypt, he decided to pursue his passion of circus art and started his own team under the name of Le Sanatorium, as they’d perform aerial arts at several events. 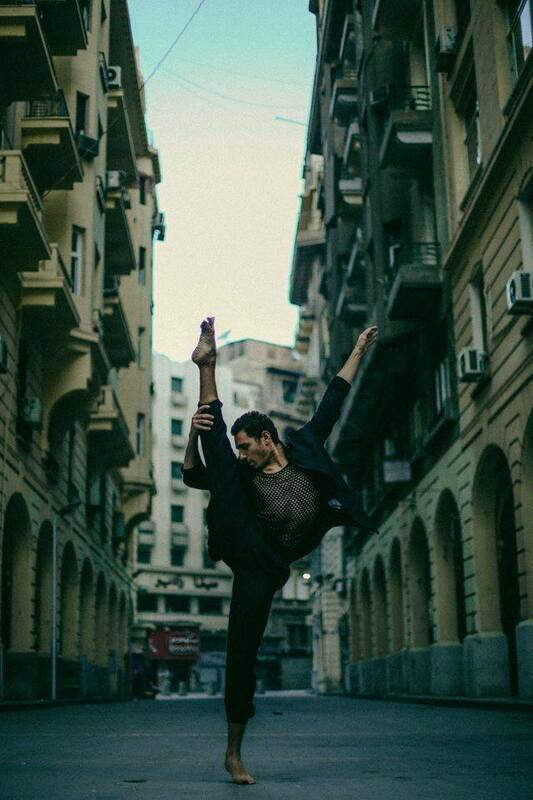 He’s currently enrolled in the Cairo Contemporary Dancing Center as a part of an extensive program. He also has previous experience as a stylist, which contributed to the photoshoot in terms of picking outfits. According to Fathi, this will not be the last production that we’ll witness revolving around male dancing, as the artistic evolution in Egypt seems to be open and determined to change the normative perception of social norms and gender roles.